Yarn Type The perfect yarn blend, soft to the touch and gentle on the skin. Great stitch definition and an appealing pallet makes it ideal for babies, kids and adults alike. With more than an echo of Rowan’s ‘Cashsoft’ this yarn takes fine fibre merino and blends it with acrylic microfiber, which is especially fine and therefore super soft and cashmere, meaning it is machine washable with a touch of everyday luxury. 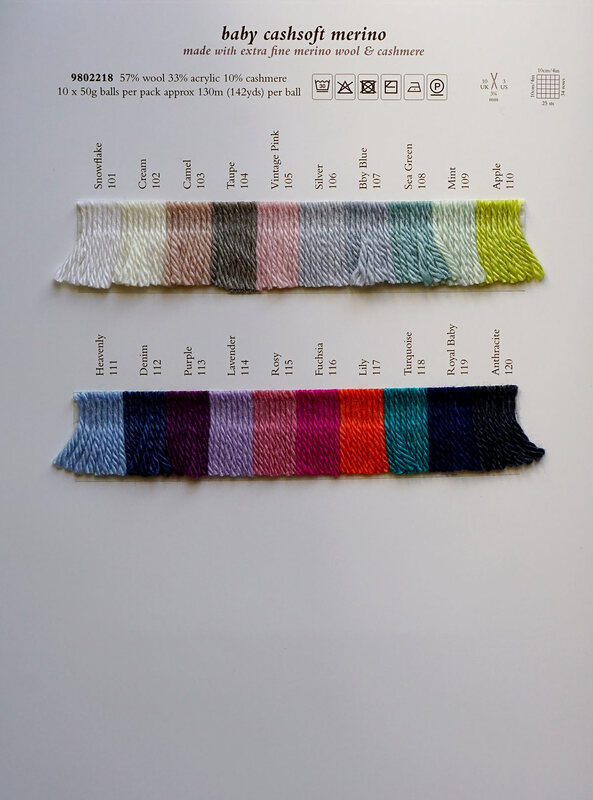 57% wool, 33% acrylic, 10% Cashmere.